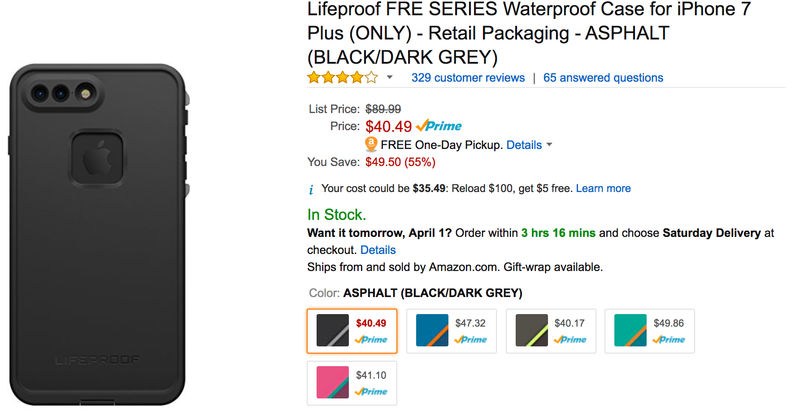 Amazon is offering the Lifeproof FRĒ Series Waterproof Case for iPhone 7 Plus in black/dark grey for $40.49 shipped. It’s also available in 4 other colors for slightly varying prices. That’s nearly $50 off the original list price and an Amazon all-time low. It typically sells for $60 or more. Rated 3.9/5 stars by over 300 Amazon shoppers. full access to buttons and controls – charge and sync through the USB port. Sealed from snow, ice, dirt & dust particles – meets or exceeds IP-68 Ingress Protection Rating. Shock Proof: Withstands drops from 6.6’/2 m – meets or exceeds MIL STD 810F-516. 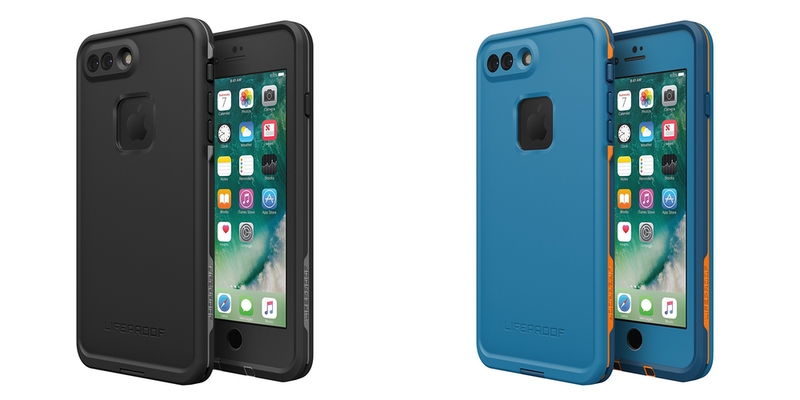 Proper installation of a LifeProof product is important to successful use so please review the installation video and check the user manual to ensure correct installation. LifeProof FRĒ for iPhone 7 Plus features a built-in screen cover that shields the touchscreen and keeps the elements out. Plus, FRĒ is WaterProof, DirtProof, SnowProof and DropProof, so your phone withstands any environment. LifeProof FRĒ for iPhone 7 Plus opens up a world of exploration for you and your phone.